Oppo is one of the leading mobile phone brand in South Asia making powerful smartphones and feature at a low price. 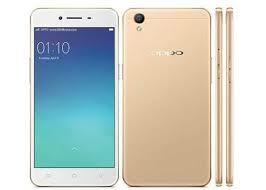 Oppo R9M is MTK based phone having MT6735 which is the latest CPU Form MTK platform and latest Android version 6.0 Marshmallow this phone have 1.8 GHz Dual Octa-core processor powerful CPU and 64 GB built-in ROM and 3 GB RAM and 16 MP Camera.This flash file is an update file based so if you want to flash that type of flash files you to download that file in your PC and extract it on your SD card then you can flash or update by putting your phone in to download mode by holding power and vol+ key fist of all make full reset your phone then you can update your phone. That firmware update is only for only for Oppo R9M MT-6755 don't try to install that firmware on other models of Oppo Android devices that can destroy your phone.